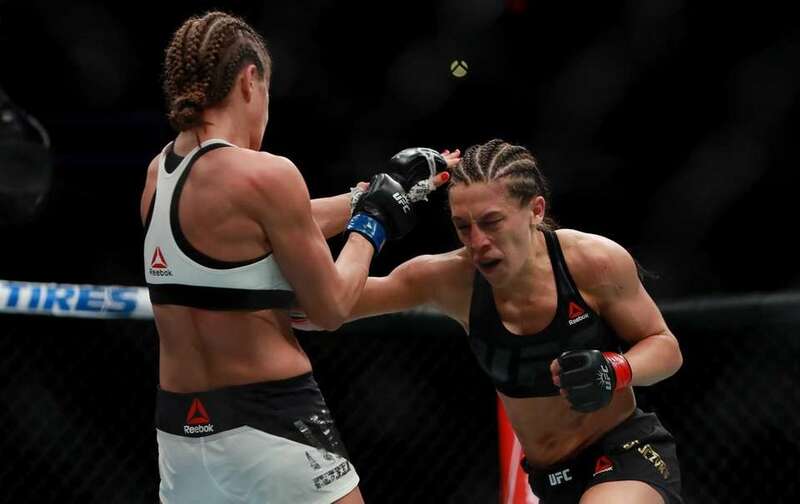 Joanna Jedrzejczyk defended her strawweight title with a win by decision over Karolina Kowalkiewicz on the main card at UFC 205 on Saturday at Madison Square Garden. Karolina Kowalkiewicz of Poland (right) fights against Joanna Jedrzejczyk of Poland in their women's strawweight championship bout at UFC 205 at Madison Square Garden on November 12, 2016. 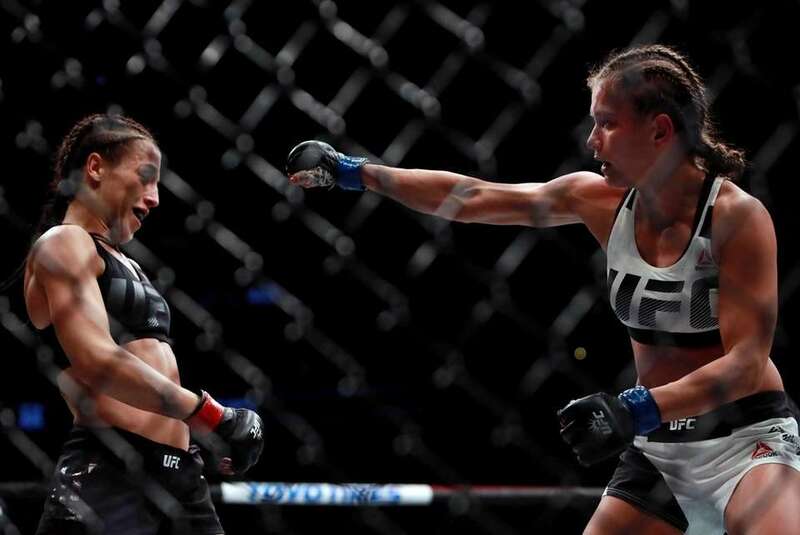 Karolina Kowalkiewicz of Poland (left) fights against Joanna Jedrzejczyk of Poland in their women's strawweight championship bout at UFC 205 at Madison Square Garden on November 12, 2016. 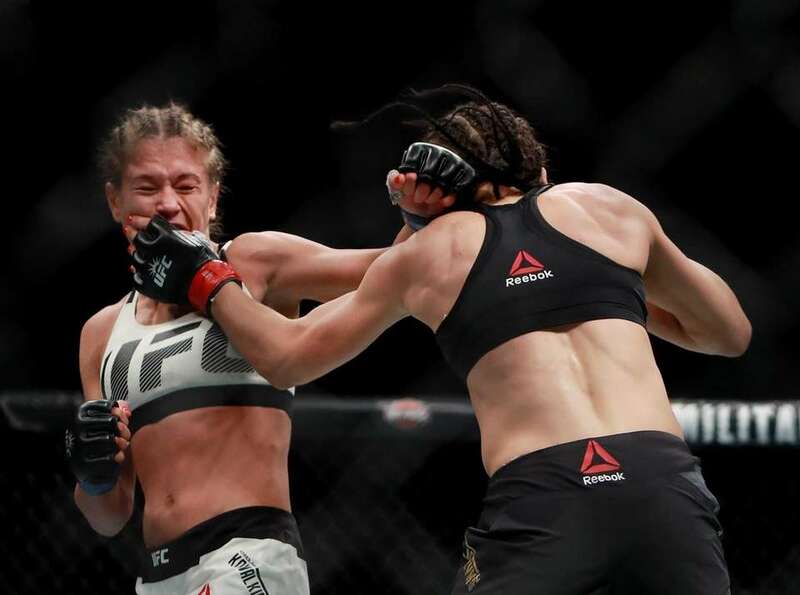 Karolina Kowalkiewicz of Poland (left) fights against Joanna Jedrzejczyk of Poland in their women's strawweight championship bout during the UFC 205 event at Madison Square Garden on November 12, 2016 in New York City. Karolina Kowalkiewicz, right, and Joanna Jedrzejczyk work in close during a women's strawweight title mixed martial arts bout at UFC 205, Saturday, Nov. 12, 2016, at Madison Square Garden. 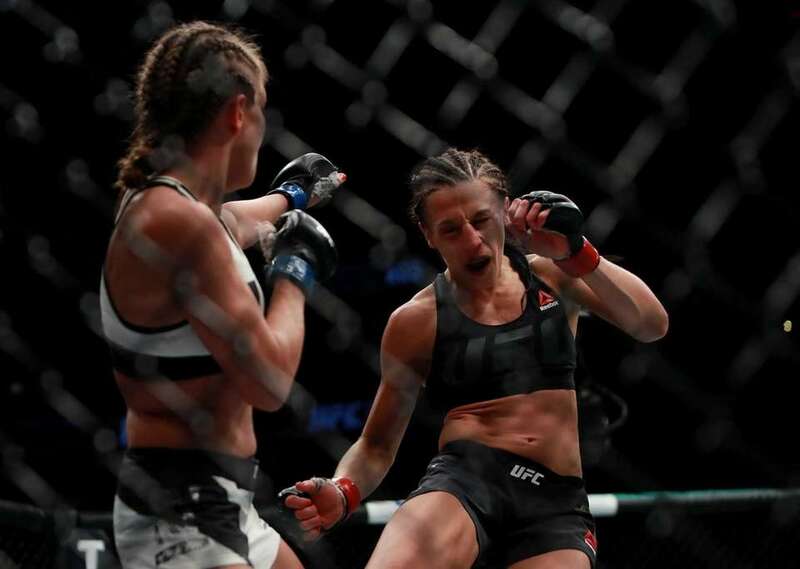 Karolina Kowalkiewicz, left, lands a shot on Joanna Jedrzejczyk during a women's strawweight title mixed martial arts bout at UFC 205, Saturday, Nov. 12, 2016, at Madison Square Garden. 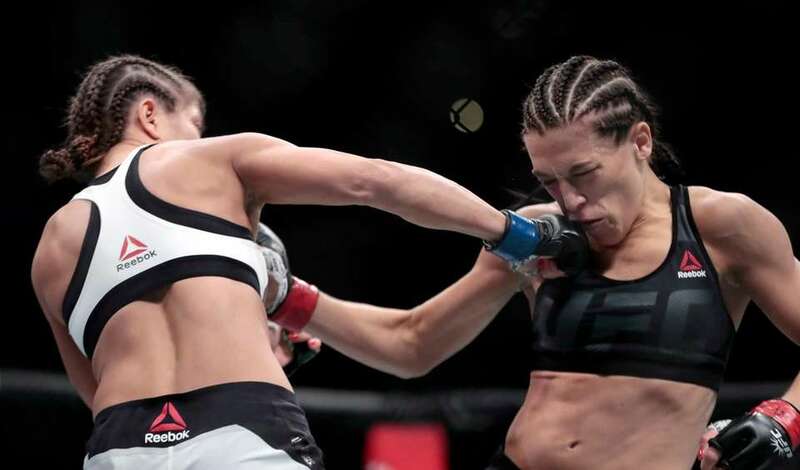 Joanna Jedrzejczyk, right, lands a punch on Karolina Kowalkiewicz during a women's strawweight title mixed martial arts bout at UFC 205, early Sunday, Nov. 13, 2016, at Madison Square Garden. 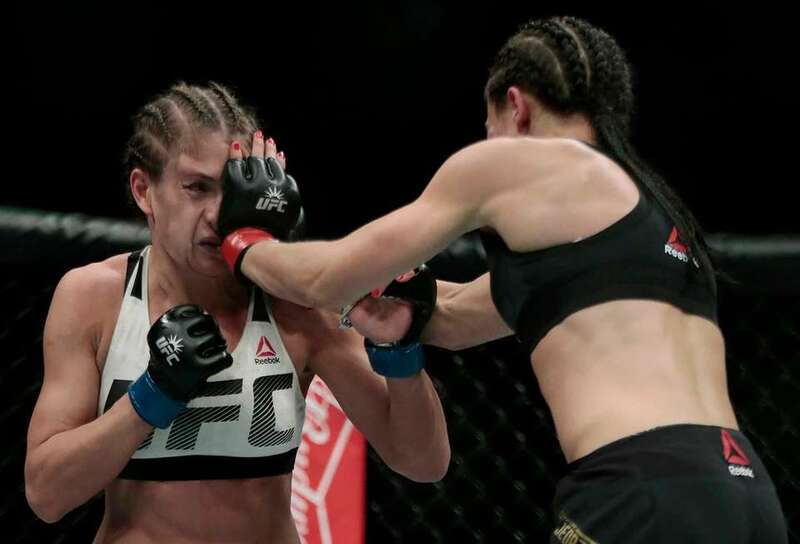 Joanna Jedrzejczyk reacts at the end of her women's strawweight title mixed martial arts bout against Karolina Kowalkiewicz during a at UFC 205, early Sunday, Nov. 13, 2016, at Madison Square Garden. 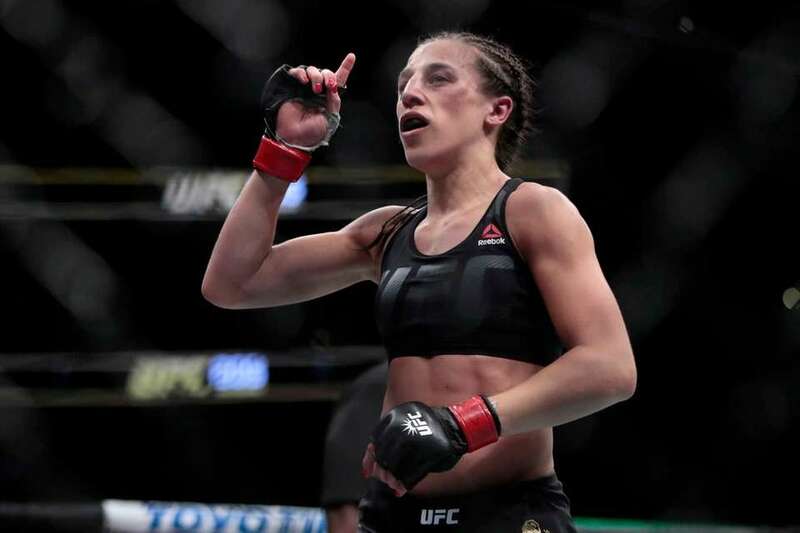 Jedrzejczyk won by decision. Karolina Kowalkiewicz, right, defends against a kick from Joanna Jedrzejczyk during a women's strawweight title mixed martial arts bout at UFC 205, Saturday, Nov. 12, 2016, at Madison Square Garden.